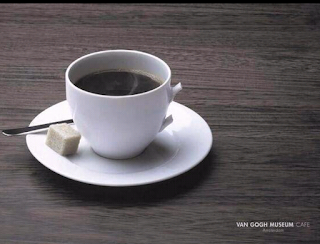 Hmmm, I am usually accused of being biased towards the ads of Byblos Bank, thing is - I generally like them. But hey, fair is fair, I am not really a big fan of this new Van Gogh ad. 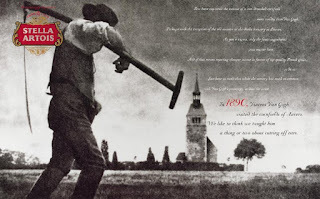 To begin with, legally, I am not sure the painting could be used as is (despite the hand tweak!). 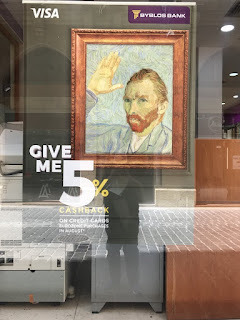 Besides, I am not sure what art has to do with anything with the 5% cashback (I did understand the "give me 5" but still do not understand what Van Gogh or as in another interpretation the Monalisa have to do with it). There is also the beautiful Stella Artois ad which goes "In 1890 Vincent Van Gogh visited the cornfields of Anvers, we like to think we taught him a thing or two about cutting off ears". So there, I am not giving Byblos Bank 5.... Maybe next time I guess.